Last Friday, I took a day off to spend some time with my wife. The morning was spent running around town so I could pick up some cases for my wet plate photography gear, as well as some supplies. By 12:30 we were on our way to Frankfort, Indiana to meet a dear friend who works the Indiana Horse Rescue. The trip there was OK, that is until our navigation freaked out and took us all over Frankfort proper. That is OK, because Jaime found us and took us right to the rescue. 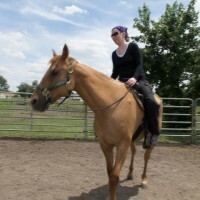 While their, my wife got to ride one of the horses. 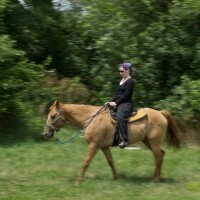 Koke, the horse, was a pleasant little guy who was surrendered by the owner with the reasoning that the horse bucked. The truth of the matter is that Koke was quite docile and really preferred to eat grass and smell poop. Such a dangerous horse (SARCASM). If we had the land and the time to devote,… I am sure we would have come home with a horse that day. The Indiana Horse Rescue currently has 24 horses housed on 27 acres of land; And there is currently a waiting list of horses to get into the facility. 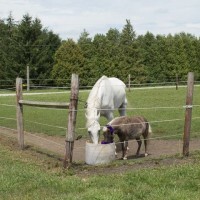 Westwind and Louise sharing a drink.